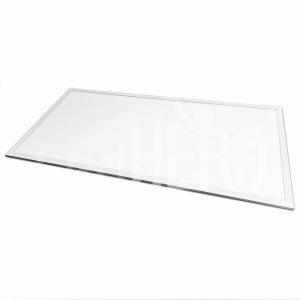 Our 24w Super-Efficient ‘Slimline’ LED Panel is identical in appearance to our flagship 40w 600mm x 600mm ‘Slimline’ LED Panel, however, a considerable difference is noticeable in performance and running costs. 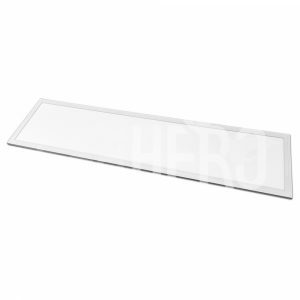 As with our standard 40w 600mm x 600mm ‘Slimline’ panels, these robust, super-slim luminaires feature the same 10mm deep outer casing, and fit seamlessly into suspended ceiling grid structures. However, power and performance are the areas in which these panels really come into their own. An incredible 3,200 lumen output is achieved with energy consumption at just 24w, making this product the ultimate cost effective, high performance lighting solution available on the European market. This remarkable power / performance ratio means opting for our Super-Efficient LED Panels could cut your return on investment by up to 40% in comparison with standard industry panels. Just like the rest of our LED lighting range, the 24w Super-Efficient LED Panel more than qualifies for the Energy Technology List’s ECA (Enhanced Captial Allowances) Scheme, meaning any installation costs can be claimed back against taxable profits in the first year of purchase. Full details of the ECA Scheme can be found on page 10 of our current LedHero Product Range brochure.